Many people wonder about the differences between private detectives and investigators. Typically the terms are used interchangeably, although in some jurisdictions, there are marked differences between the two. Unless otherwise specified, it is safe to assume that private detectives and private investigators are the same exact vocation and are simply different in named terminology. In some areas of the world, where licenses are granted to investigative professionals, the 2 terms may hold different legal connotations. This essay will help to explain the exact differences between detectives and investigative professionals. 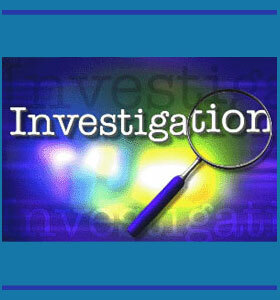 The term private detective predates the more common use of the job title private investigator. The original professional investigators usually used the term detective, as was the case with the famous early American security firm Pinkertons. As the profession evolved, the term detective stuck for many years, until the last few decades. Throughout the 1970’s through the 1990’s, the title private investigator replaced private detective for many agencies and individuals. Most recently, the term professional investigator is most popular and is now the most common job title description. In some areas of the world, such as the state of Massachusetts in the United States, the term private detective indicates a licensed professional who runs an investigative agency. Meanwhile, the term private investigator describes a person who is not necessarily licensed, but works for a licensed private detective. This differentiation is rare, but does sometimes exist. That is why it is crucial to be aware of licensing requirements for your individual area of the world, to ensure that you hire an investigator who is legally enabled to complete their assignment. If no differentiation exists, then the ability to use either job title is dependent upon the preferences of the professional investigator themselves. Rather than focusing on the job title used by any particular professional investigator, it is far better to judge them based on their experience, education, credentials, successes and professionalism. Many investigators choose their job title to convey an emotional feeling about the nature of their work, such as private eye, while others choose a more generic and professional title, such as licensed private investigator. Regardless of the title they use, investigators are in the business of providing results for their clients, so be sure that the detective you hire will be up to the task at hand. Do not get caught up in semantics. After all, a rose by any other name would still smell as sweet and a detective, investigator or private eye can all achieve your intelligence-gathering objectives, regardless of what they are called.